The green iguana is one that some people keep as a pet but they usually die in the first year of when they become a pet. They don’t normally get to live the way they do in wild life. I also do not know why, but other iguanas such as the Blue Iguana and others are endangered. Iguanas also maintain their sharp teeth and usually their own tail that is almost about half their body size. 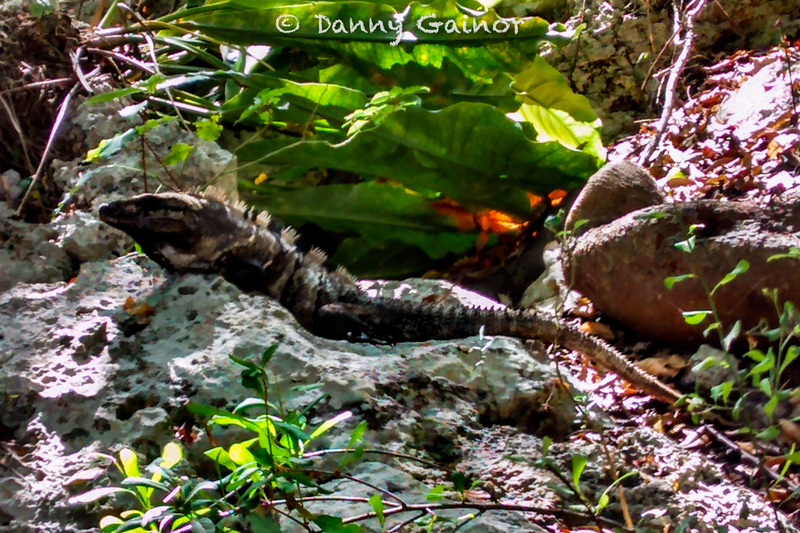 However, if iguanas loose their tail they can grow it back but sometimes it takes over a year to regrow their tail. This might sound strange to you as it did for me. Green Iguanas have three eyes! Two are in the normal spot and one is on the top of their head! This third eye doesn’t do things like a normal eye except see the light above it. However, if a hawk were above the iguana and it saw the hawk, he would know, but would not know if it only had two eyes. Probably the worst predator of an iguana is a hawk or predator bird. If an iguana hears a hawk’s scream, it will freeze, but doing this makes it easier for the bird to catch. Some types of iguanas that live in the forest spend most of their time on the top of trees going up to 40 to 50 feet high. Also, this might sound strange but some iguanas can make themselves float. If they got washed into a large body of water, they could inflate themselves and float! Iguana eggs take about 12 or 13 weeks to hatch and when they do, they usually stay together. They also protect themselves and work together for about one year or so. They then move on to be full adults. When they are babies, they still look like adults but are a lot smaller. When an iguana is first born, it usually lives for about 20 years in the wild. If they are in captivity, however, and are living somewhere other than where they normally live, let’s just say they have a much much shorter life than in the wild. So there are some facts about the types of iguanas and what they do and how they live! I hope to see more iguanas!